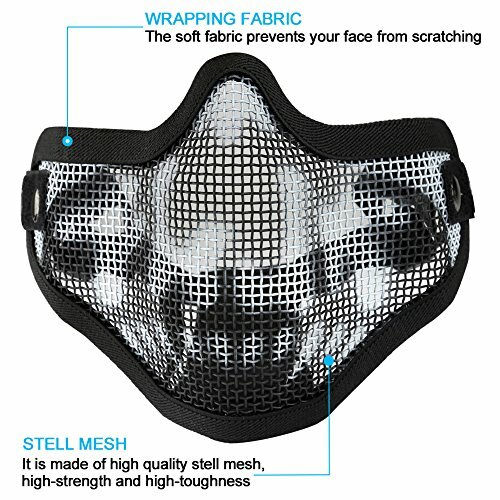 FIT FOR ALL YOUNG AND ADULTS: The mask with 2 elastic adjustable strap makes for a better fit, you don’t worry about it drop from your face when you are playing Airsoft, shooting, hunting. 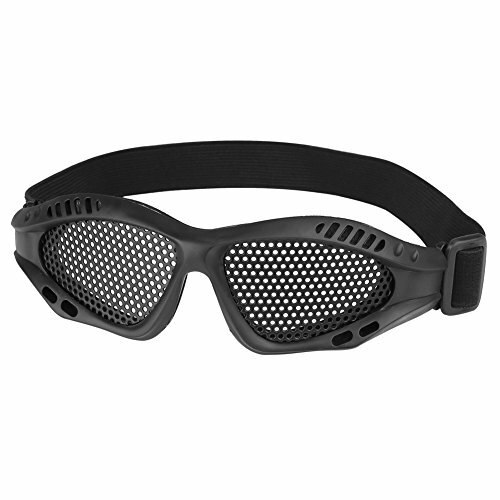 IMPACT RESISTANT: The tactical goggles and mesh mask are Well handmade. 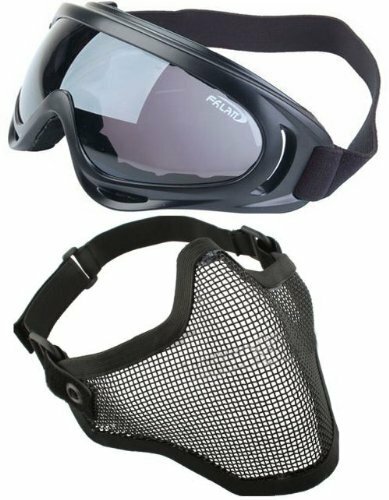 Light weight masks but Impact resistant. give you full ventilation. With 2 elastic adjustable strap makes for a better fit, one size fit for all young and adults. Light weight construction for comfort and impact resistant. Material: Eco-friendly low-carbon steel and plastic cement material. 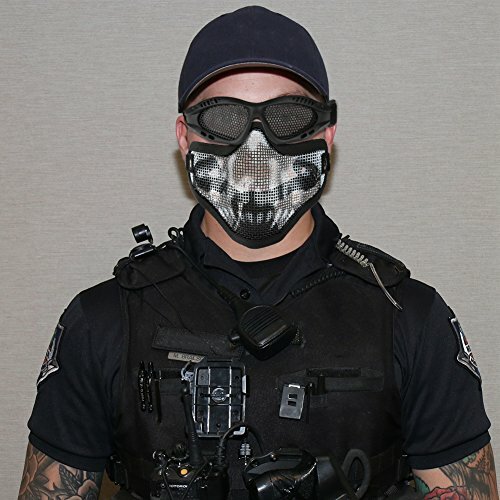 Package Includes: 1 x steel mesh mask, 1 x tactical goggles. 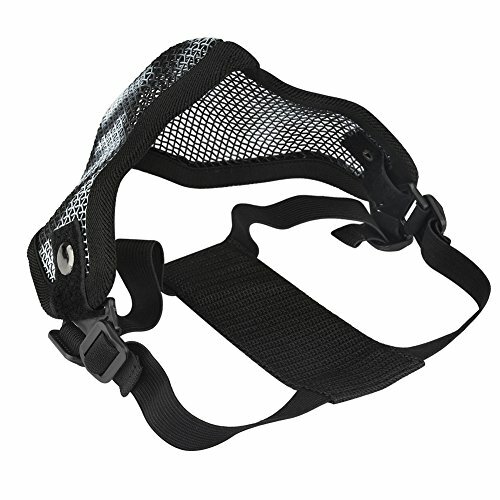 COMFORTABLE BREATH: Superb air ventilation prevents fogging from the mesh part. 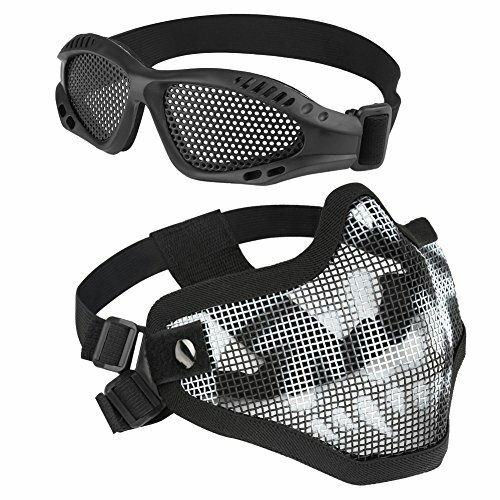 LIGHTWEIGHT & FOLDABLE DESIGN: The airsoft mask can be gently bent to fit to your face better. The skull design is very cool. Material: Made of light soft Shock proof high strength engineering material, hard to break poison free and no smell. 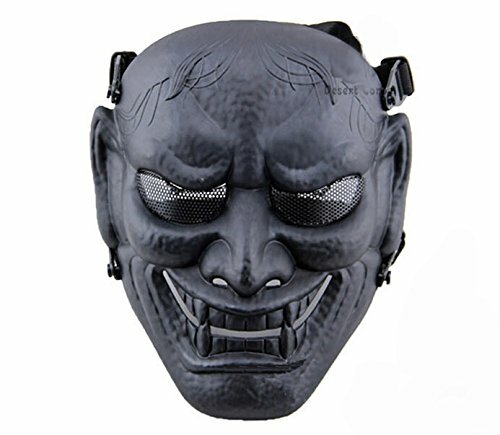 Great for: Airsoft, outdoor live-action CS, hunting, war game and military use , cosplay, masquerade parties Halloween, movie props, home decoration etc. 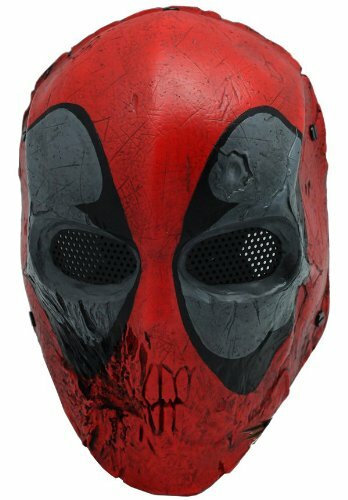 Size: Full face field mask. One size fits all. 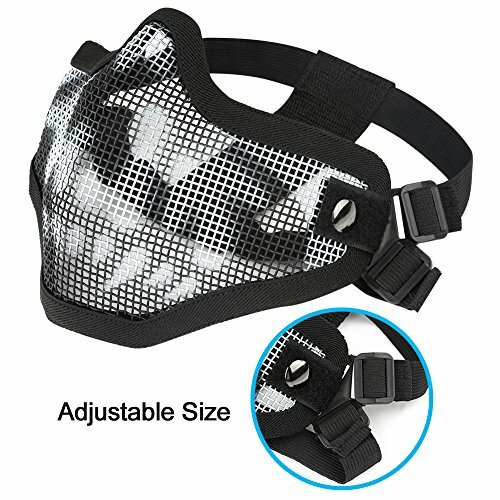 The mask belt length is adjustable. 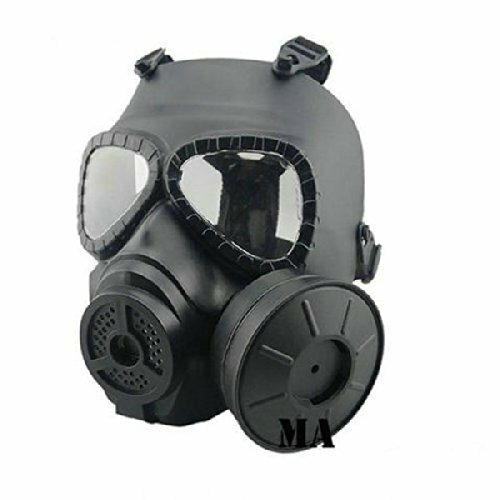 This cool M04 Gas Mask is of innovative design,it is great for cosplay and war game . Built in circulation system, Use 2x AA battery to operate the fan unit which inside the canister unit (not included).